Should We Believe the RIM / Samsung Rumor and Does it Make Any Sense? RIM is trading 5% higher this morning. A blog post at Barons points to one possible reason for the bump. 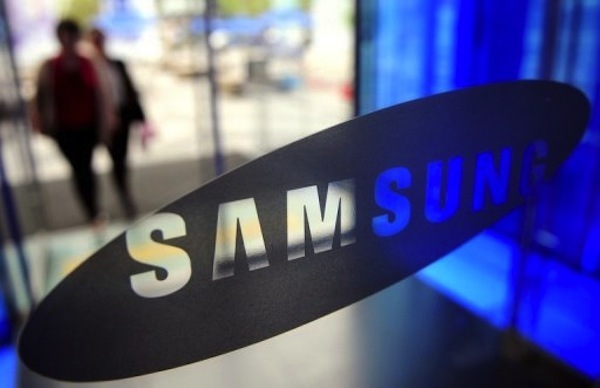 Apparently, Wall Street is talking about a potential investment by Samsung in RIM. There do not appear to be any legitimate reports on this, nor do their appear to be any sources willing to go on the record. Remember that Samsung has, in the past, said that it is not interested in buying RIM, nor is it interested in licensing their operating system (BlackBerry 10). Most of the rumours we hear about RIM have turned out to be untrue over the last decade, but who knows. Maybe this one has some truth to it. For the purposes of intelligent discussion, let's pretend Samsung is interested in investing a supposed $1.5 billion in RIM and using BlackBerry 10 for some of its upcoming phones. Why would such a move make sense for Samsung? Well, the reliance on Google's Android is not a good diversification strategy. Maybe it wouldn't matter if Google had not announced its acquisition of Motorola Mobility, but with that transaction happening it calls into question the long term intentions of Google. Consider this - if Microsoft started making its own Windows Phone hardware, what would Nokia think? I bet they'd be pretty pissed off. I bet the stock would tank. It would increase risk for Nokia. Same for Samsung. Google now makes hardware. End of story. It adds risk. And Samsung has been steadily gaining market share due to the strong market adoption of Android. Why not diversify and adopt another operating system? If Samsung wanted to diversity, it obviously has no chance of seleting iOS. Assuming they abandon Bada (their homegrown OS), it's most likely a choice between Windows Phone or BlackBerry 10. Whichever they choose would significantly boost the credibility and perceived strength of that OS. With Microsoft, Nokia is already a major hardware partner. It's possible that Nokia's deal with Microsoft excludes Samsung from certain agreements they'd otherwise like to strike with Microsoft. But with RIM, Samsung may have more leverage to gain access as an exclusive licensee, if that's what it wanted. They'd never get that with Microsoft. In addition, Samsung would probably have an easier time taking a minority (but meaningful) position in RIM versus Microsoft. While a minority investment doesn't give you control, it does give you leverage. Imagine if RIM was to do something that pissed off Samsung enough to cause it to sell its stake? How would Wall Street react to this? Not well. And from RIM's perspective, its stock has been hammered. Absolutely hammered. If Samsung were to make an equity investment in RIM, the entire platform would gain more credibility for long term sustainability. Developers would likely gain interest too. This would help the stock price significantly, especially given the massive short squeeze it could create (shorting of RIM stock is at an all time high). Anyway, we have absolutely no idea if this rumor is true or not. But I do think that it makes some sense. It's potentially good for RIM, good for Samsung, and great for shareholders who have witnessed RIM stock trading below tangible book value lately. Maybe we'll get some clues as to what's in store for RIM on the Q4 conference call, scheduled for March 29th. Stay tuned!